Prussian troops show their power. GSC Game World presents the Prussians of Cossacks 3 in a new video game. Prussian troops show their power. GSC Game World presents the Prussians of Cossacks 3 in a new video game. 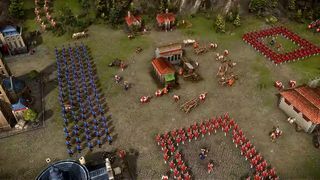 Cossacks title=”Cossacks 3 for 3 it is a remake of title 2001 with armies of hundreds of warriors. The real-time strategy allows the original build and produce resources. There are a wide selection of units, weapons, and new realistic physics gives the player many tactical opportunities. What would happen if Google were to fall off at the global level for half an hour?